Kaiseki cuisine is a kind of very particular "dinner", perhaps the finest culinary expression of all Japanese cuisine. Originally this term meant a vegetarian meal that accompanied the tea ceremony, but today also kaiseki-style lunches and above all dinners are served, and include vegetables but also fish and rarely meat, accompanied by sake. 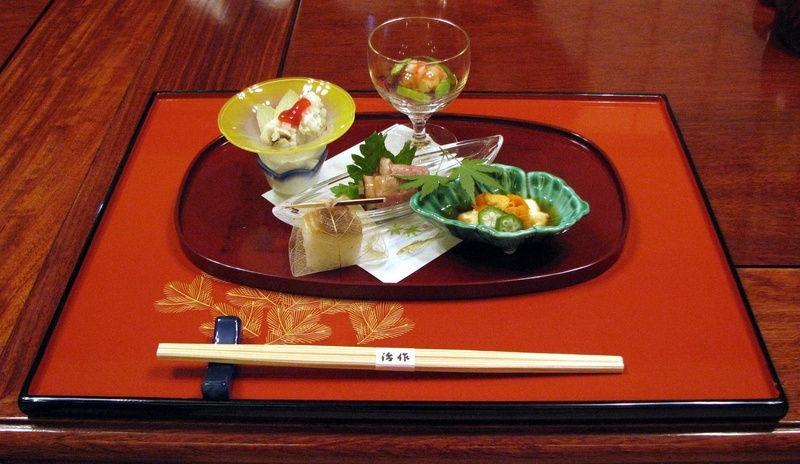 A typical kaiseki course is characterized by being composed of many dishes served in small portions. 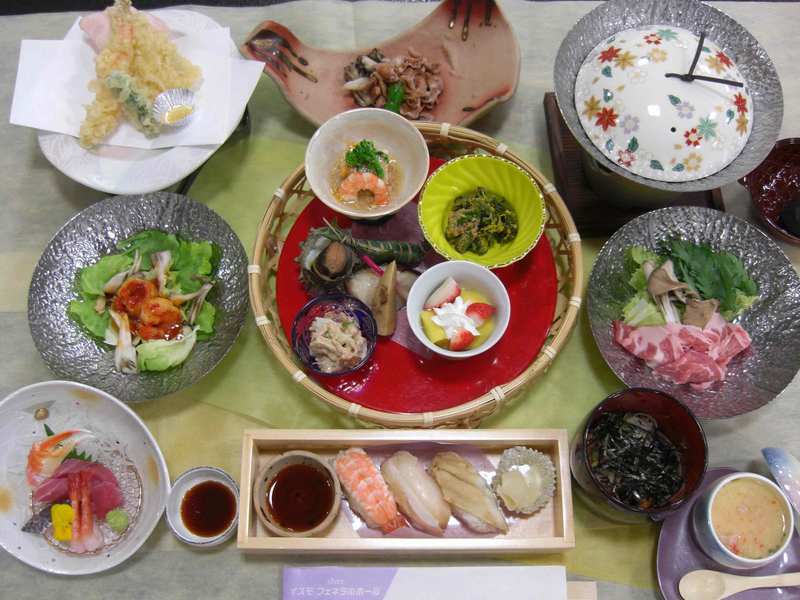 They range from 6 up to 15 dishes, the most common dishes are miso soup, sashimi, broiled fish, pickled vegetables, a dessert. The food served varies depending on the time and place where you are, the prerogative of a kaiseki-style meal is in fact the freshness of the ingredients used, so depending on the season and what the cook has found at the market. Another peculiarity of Kaiseki-style cuisine is the importance of appearance: every detail is considered, from the embellishments of each dish to the arrangement of plates. It's really a great show just watching these dishes. This style of cuisine is commonly served in many ryokan (especially in Kyoto) but also some in Tokyo (as I have written elsewhere, ryokan in Tokyo are usually scarce), perhaps served in-room by a lady dressed in a kimono. There are also many restaurants that serve kaiseki cuisine, but are generally very expensive.